Commonly known as the Seoul Fortress, the Hanyangdoseong is a series of walls built during the Joseon era (1392-1910) to protect the kingdom’s capital -- today’s Seoul -- against invaders. Completed in 1396, the 18.6-kilometer wall remains a significant historical monument in South Korea today. Originally built along the ridges of Seoul’s four inner mountains -- Baekgaksan, Namsan, Naksan and Inwangsan -- the fortress has undergone a number of reconstruction projects to be in today’s form. An upcoming festival celebrates the history of the walls as well as the everyday lives of ordinary people in Joseon. 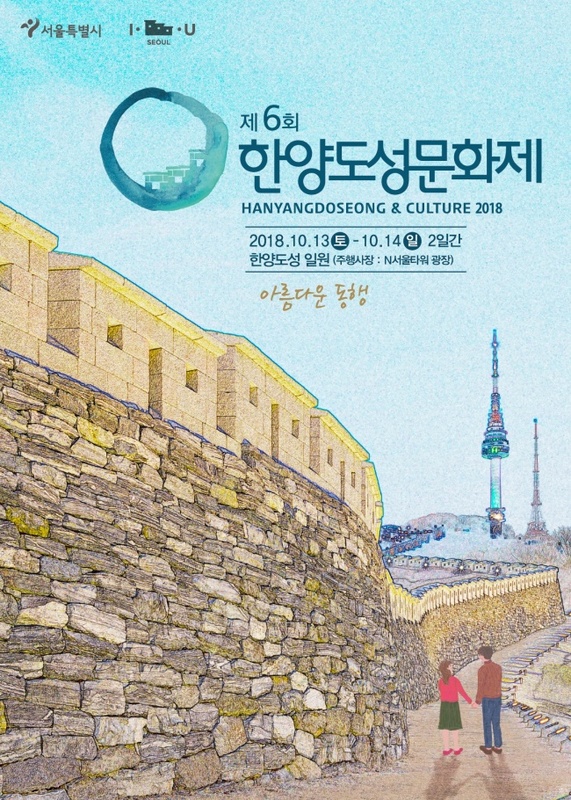 Now in its sixth year, the Hanyangdoseong Cultural Festival, organized by the Seoul Metropolitan Government, offers both cultural and educational activities to enjoy the fortress. For this year’s Sunseongnori program, which consists of walking along the entire fortress, an English-speaking guide will be present for those who would like to learn more about the monument. Those who participate in the walk, which will take some 10 hours to complete, will be able to see some of the most breathtaking views of Seoul and its surrounding mountains. The term from the Joseon period, Sunseongnori, refers to the act of walking along the fortress with close friends in the spring and summer time, while enjoying the view of Joseon’s capital, Hanyang, which is today’s Seoul. It is believed that the term was first used by 18th-century Joseon scholar Yoo Bon-ye (1777-1842), who is known for having researched and recorded Hanyang’s historical landmarks. There is also a half-day program for those who find 10 hours of walking to be overwhelming, as well as a separate, nighttime program. Anyone interested in participating in the walk along with an English-speaking guide can sign up online at https://docs.google.com/forms/d/e/1FAIpQLSfGc9es0BxQpiUSrAA_s6eO_u8YPfzEB_BFHsTCU-F-JnCP3Q/viewform. A single ticket costs 10,000 won. During the later Joseon Dynasty, it was very difficult for married women to visit their families, as they were obliged to stay with their in-laws and husbands at all times. They were only allowed to visit their parents with the approval of their in-laws, which were rare opportunities for them to spend time with their parents and siblings. The practice of Ban-bogi, which literally translates to “Meet Halfway,” refers to the act of a married woman and her mother meeting at a halfway point between the two homes. As such trips would take an entire day, it was practical for the mother and her married daughter to do this to save time and spend more time together. For the first time since the foundation of the festival, the act of Ban-bogi will be performed at Hanyangdoseong to show what it was like to live as women during the Joseon Dynasty, a time period heavily influenced by Confucian principles and values. Those who would like to “experience” Ban-bogi can do so, as well. Two participants will each begin their journey at the fortress’s Heunginji Gate and Hyehwa Gate, respectively, and meet halfway along the wall. They’ll have an opportunity to enjoy food together while enjoying the view of Seoul, as well as special performances, once they reach the halfway point at Hanyangdoseong.